Finding just the right patio umbrella puts the finishing touch on a well-balanced outdoor seating collection. Without proper shade, summer sun can heat up your seating area and send everyone back inside by mid-afternoon. Umbrellas set a calming ambiance, tie together a seating area and provide a private respite from the elements. But knowing how to choose a patio umbrella for your space requires a look at all the ways they differ. Patio umbrellas vary in size, material, base weight and style. 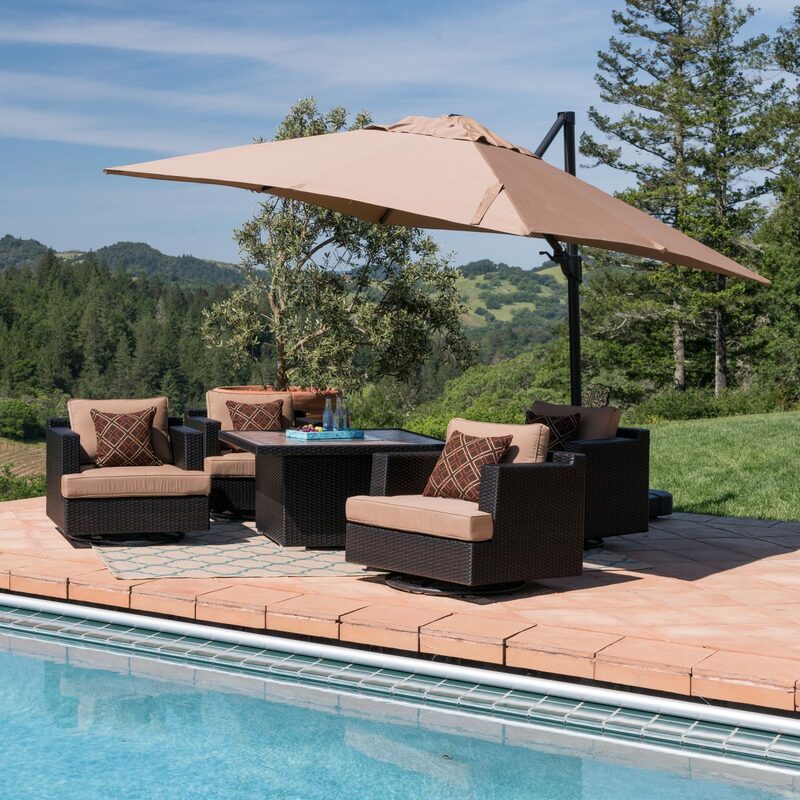 Some patio umbrellas thrive in particularly windy areas, for example, while others make perfect covers for large, flexible outdoor dining spaces. It all comes down to what you need in your unique patio area. Check out this patio umbrella buying guide to get started. The height and width of the patio umbrella determines the size and shape of the shadow. As a general rule of thumb, umbrellas should feature a shade diameter five feet larger than the space you’re looking to cover. This provides over two feet of shade on either side of your table to account for shifting chairs. As for its height, try to choose umbrellas that measure over 7 feet tall—this ensures that your taller guests won’t have to stoop down to sit, while keeping the shade concentrated to the area. 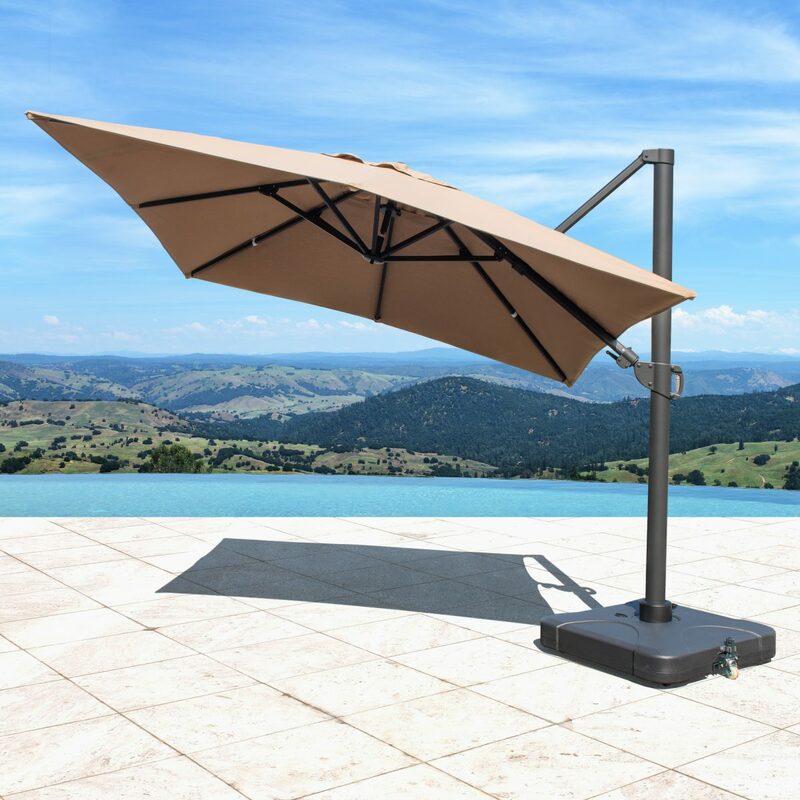 Ideally, large outdoor patio umbrellas come with adjustable height or angle cranks to adapt with the changing sun and circumstances. Consider flow and movement when choosing and placing the umbrella. Each time you open the umbrella, you don’t want to have to back uncomfortably into the wall or the bushes. While table and free-standing umbrellas work best in small bistro seating and dining sets, cantilever umbrellas—that hang over a space—open up more room for travel in the center of the space. No matter the style and type of you choose, the base ensures safety against wind and frequent movement. 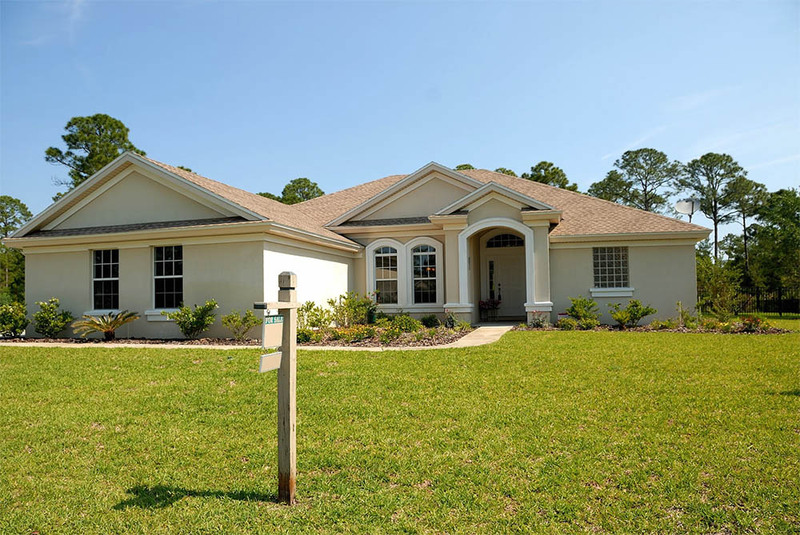 Investing in a solid base will give you peace of mind at your next party when the wind picks up, and you may want to consider bulking up your base if you live in a particular windy region. The heavier the base, the better. 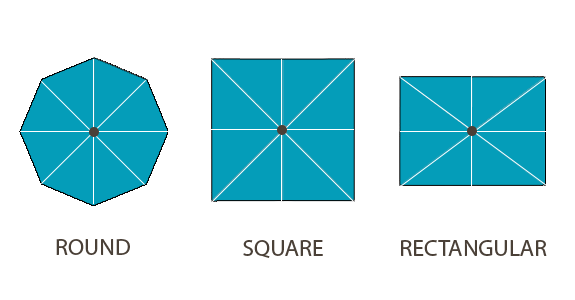 Bases tend to range between 30 and 70 pounds, depending on the height and width of the umbrella. 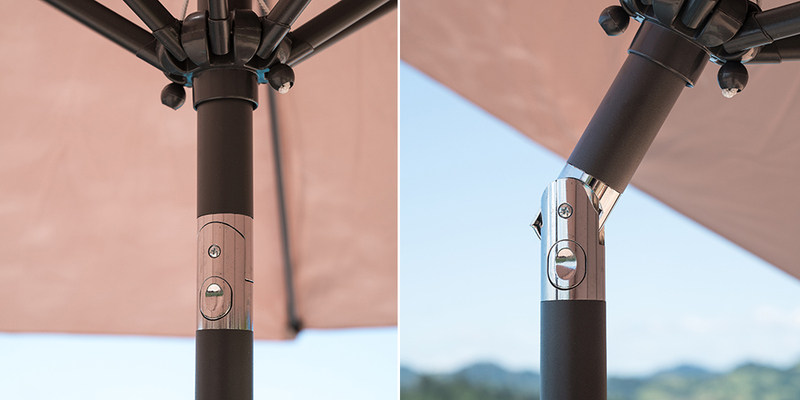 Tilting and cantilever umbrellas require a little extra weight due to their frequent adjustments. If you choose to have your umbrella be free standing, it will require more weight in the base than one that goes through a table, and any base lighter than 50 pounds should only be used to anchor table umbrellas. Upgrade your umbrella base for extra security with the Starsong Borealis Cantilever Umbrella Base. This special addition can be filled with sand or water to reinforce its weight for windy days. Since each umbrella shape dictates the shape of the shade provided, look at your overall seating layout and architectural space. Round—or often octagonal—umbrellas are best in symmetrical conversational seating areas. Square shapes work just as well, but provide a more sleek and modern look. These are also a better match geometrical porches, creating a more streamlined appearance throughout. Rectangular patio umbrellas, usually attached via a cantilever base, are ideal for long outdoor tables or long modular sets. During long afternoons in the backyard, the shade will shift with the sun. Some umbrella varieties handle this transition better than others. 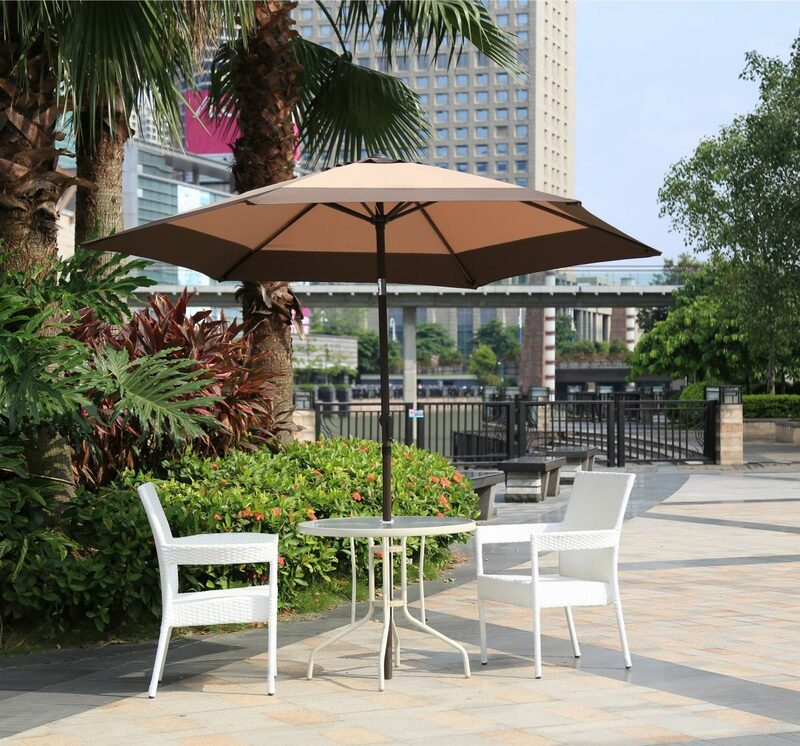 The most highly recognized type, both free-standing and table umbrellas stand with a weighted base that sits directly beneath the pole and umbrella. The umbrella either cranks open or can be manually opened with a pin and string. If you have a slightly larger budget, and are placing the umbrella over a larger space, tilting varieties can change angles as the sun moves across the sky. This way, no one needs to shift around every time the sun changes direction. Sometimes known as resort umbrellas, cantilever umbrellas fixate to a stand that sits just outside of the dining area. 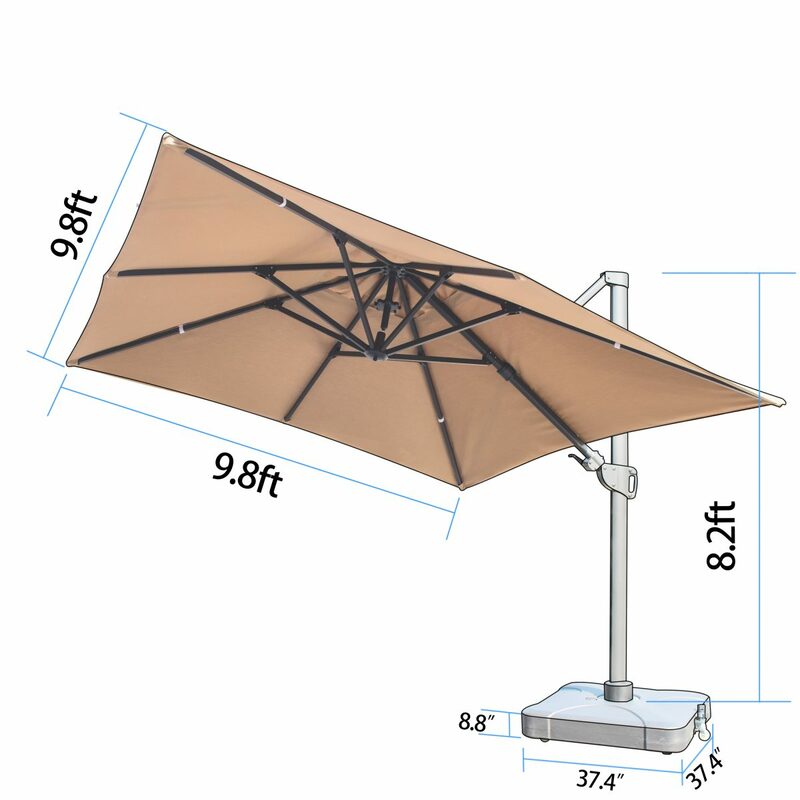 This variety provides shade to an adjacent area through the use of an extended, adjustable arm. These offer the most variety in height and angle, ideal for a large outdoor dining space with frequently shifting sun. 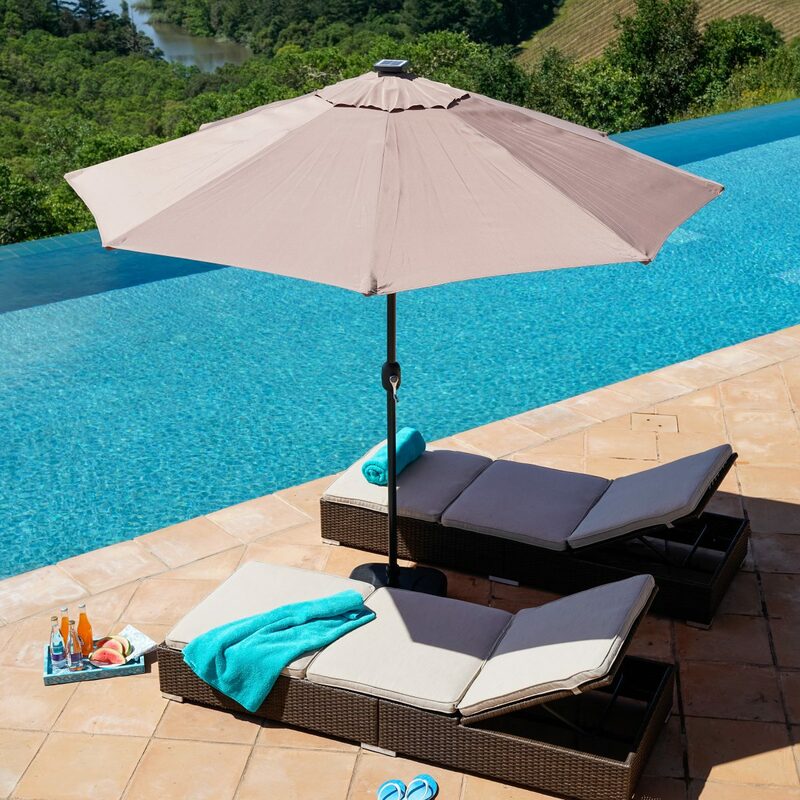 One great example of a Cantilever is the Sirio Niko Beige Resort Umbrella with beige, UV-resistant Sunbrella fabric. 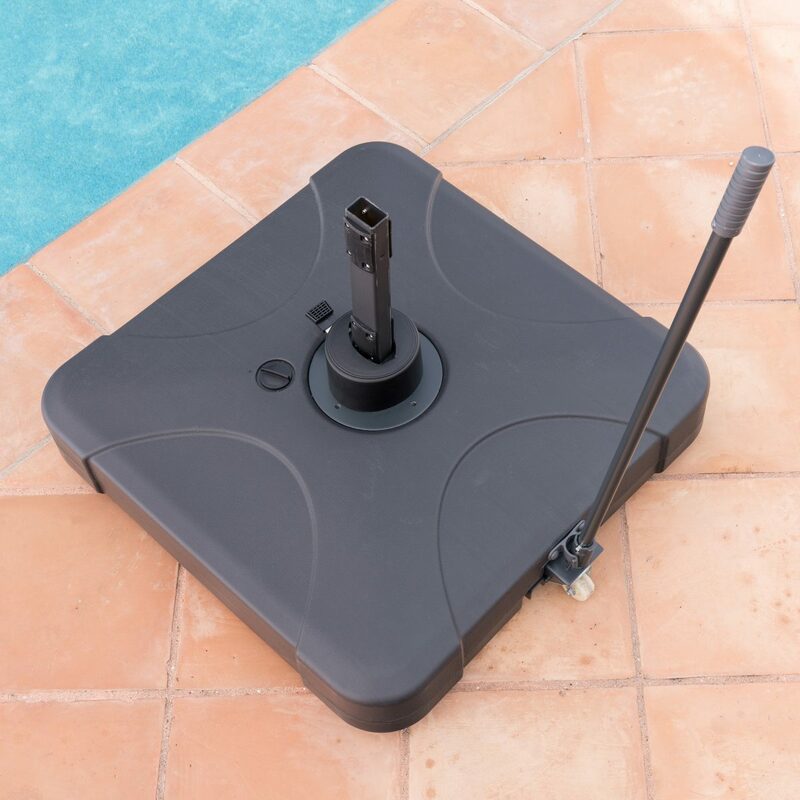 As an extra feature, a retractable wheel provides easy movement throughout your patio. The most well-known and trusted in the industry, patio Sunbrella umbrellas include an incredibly wide array of colors and styles while always offering durability, eco-friendly construction, and both waterproof and UV protective qualities. The colors remain vibrant in the sun over time and stay clean and mildew free when exposed to frequent moisture. This acrylic variety includes high UV, mildew, and mold resistant. It also often includes one-year warranties against fading color. A synthetic fabric, Olefin umbrellas are easy to clean and stay protected from moisture-causing mildew and mold. This fabric tends to be high in density while remaining lightweight. After you’ve squared away all the logistical details, choose an umbrella that best speaks to your sense of style. Patio umbrellas round out an outdoor seating area with grace and balance. Select a color that borrows from the seat cushions of your patio set or choose an umbrella base that matches the materials woven into your outdoor design. A wooden pole blends with a country-inspired look, for example, while a metallic, aluminum or stainless steel fits into a sleep, modern layout. Go a step further by choosing a modern selection with ambient LED lights for evenings outside, such as the Starsong Borealis 9-Foot 30 LED Garden Umbrella. As with any other patio purchase, large outdoor patio umbrellas should further bring your outdoor dining and seating area to life, welcoming everyone to gather and chat on a sunny day. 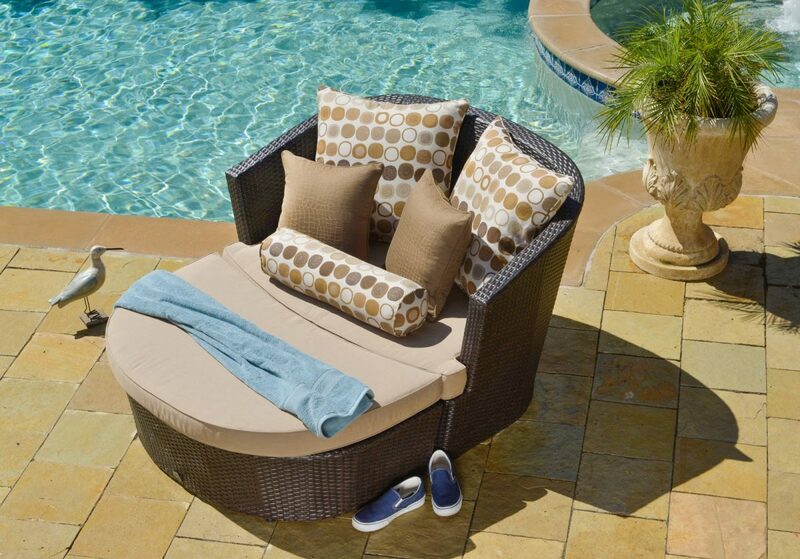 Check out Starsong’s patio furniture buying guide and see what pieces you can add to your space to go with your new patio umbrella.